I had the good pleasure of sitting down with Anup Samanta recently. Anup worked for Mojam (the company I co-founded) early on in his career. He’s gone on to an interesting business journey that included Discover Financial, Lycos, MyPoints and Navistar. Hi Anup. First off, what is the definition of Marketing Analytics? Marketing analytics is primarily a data-driven function that extracts, validates, understands and reports on the quantitative data points generated from market-facing tactics to not only measure the performance of those market-facing tactics, but to also forecast sales demand across multiple channels being used by the brand to acquire and retain customers. What are the top paid Marketing Analytics tools out there? Every company has internal systems that aggregate different categories of data. It is important for market analysis managers to understand the data infrastructures of these internal systems. Microsoft Excel, SPSS and SAS are generally adaptable and flexible marketing analytics tools that can handle huge volumes of data, regardless of the derivation of the data point. There are also industry-specific data sources that can help supplement the integrity of reports created by the market analysis manager. What are the top free Web analytics tools available? There are several free Web analytics tools available. 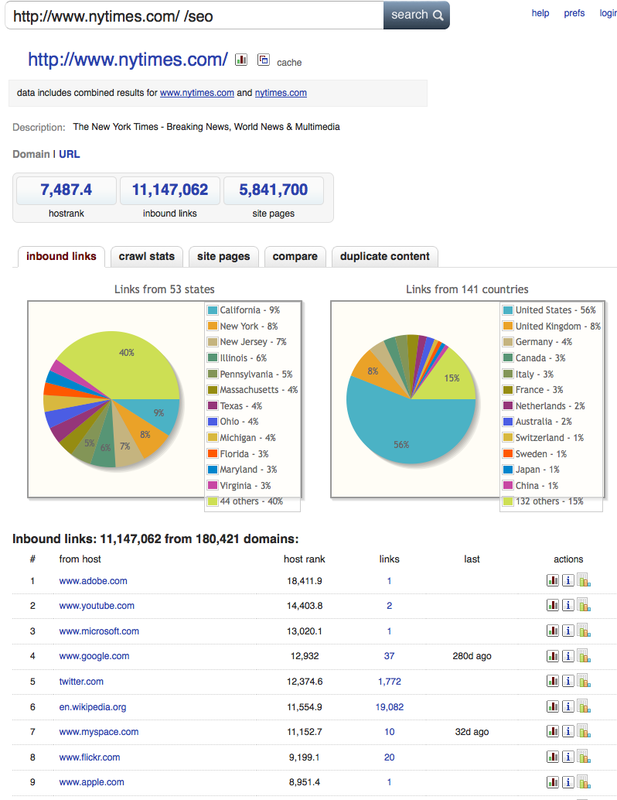 I use Google Analytics, Feedburner and ShareThis to track site performance metrics of my Stratelysis blog. And I am happy with the ease of use these Web analytics tools. I notice a lot of Web searches on Google Analytics, Thomson Analytics and Siebel Analytics — what’s the difference between those three? These tools are very different as they serve different industry players and have various levels of complexity, but are similar as they deliver a data-driven solution to assess business or functional actions. Google Analytics enables website managers to track site performance metrics to make decisions on how to better engage visitors. Thomson One Analytics enables clients to track the performance of financial markets to make better decisions on how to allocate their money for maximum returns. Siebel Analytics (Oracle Marketing Analytics) allows an organization understand marketing return-on-investment (ROI) by reporting on customer preferences, purchase behavior and segment profitability to drive profitable revenue and build brand. Do you need separate tools for Web Site Analytics versus Search Analytics versus Email Analytics versus Mobile Analytics versus Video Analytics, etc.? About ten years ago, brands allocated a larger piece of their marketing budget for offline than online tactics. Within the past five years, that allocation has shifted, especially as mobile, Web 2.0, video and photography technology have not only greatly approved, but rapidly proliferated. The pace of technological growth has fundamentally outpaced our ability to understand the data coming from the technologies. Large agencies that execute multi-channel campaigns are aligning with specialized boutiques that focus exclusively on one, two or all of the online technologies listed above (Here’s an interesting Internet Companies & Ad Agencies article on this). Based on media mix shifts and existing agency structures, clients must depend on separate tools for online analytics. And I know you’re into social media — what are your thoughts on Twitter Analytics or Facebook Analytics? I know that a lot of good work is being done on Twitter and Facebook analytics. It’s important to take a step back to understand the metric of success for a brand marketing itself on these sites. For Twitter, is it about acquiring twenty followers a day? For Facebook, is it about targeting someone with 500 friends, fifty percent who provide status updates about beer? In addition, qualitative customer research must be done to optimize the site layout so users are not only engaged with the activities of their followers and friends, but experience an advertisement and buy a product. A suboptimal online marketing strategy is one where the brand engages the target customer via Twitter or Facebook, but has fewer incremental online sales versus a baseline online strategy where Twitter and Facebook aren’t deployed. Brands and agencies that can figure out how to monetize social media will be the marketing gurus of our future. Where in the org chart do you recommend Marketing Analytics reside (in the Marketing department or a separate Analtyics department)? Marketing Analytics should report into a Marketing Business Intelligence or Customer Intelligence team that reports up to the Chief Marketing Officer or Vice President of Marketing. Where’s the best place for employers to go to post marketing analytics jobs? Employers should visit my alma mater to post marketing analytics jobs: The Medill Integrated Marketing Communications program at Northwestern University teaches a very customer-centric, data-driven, integrated marketing approach to its students, anticipating a new way on how stakeholders interact with brands. About 80 students graduate from this program each year. If someone wants to get in touch with you, what’s the best way for them to do? Please visit my my Stratelysis blog and contact me through there.